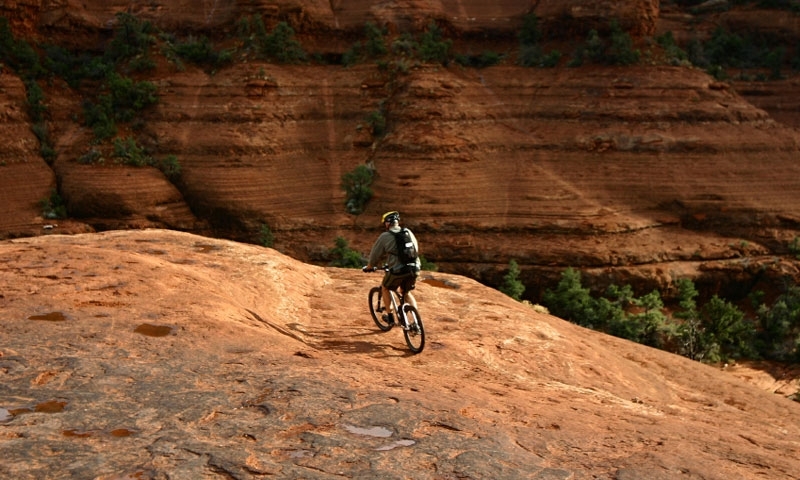 Mountain biking is a fun and exhilarating way to get up close and personal with Sedona’s colorful dramatic landscape. There are variety of Sedona biking trails with scenic views and technical terrain for you to enjoy on your vacation. Conveniently located across the street from Bell Rock. Our shop is literally on the trail-head for many trails for everyone. Renting Jamis, Kona and 29er mountain bikes. Sedona's premier bike shop, providing the best in maps, bikes, and service. 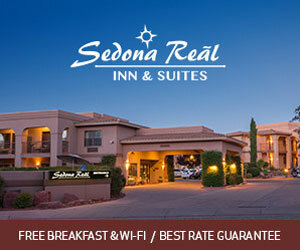 Here to help find your best Sedona experience possible. Join the adventure with guided hiking, mountain biking, fishing, backpacking, and vortex tours in Sedona. High performance bike rentals and repairs in Sedona. Discover a number of adventurous mountain bike trails with scenic red rock views. For a shorter technical ride, try Broken Arrow, Llama, or Girdner. For a longer ride, check out Templeton Trail or Cathedral Rock Trail. Visit one of Sedona’s local bike shops for gear, maps, tips, and to set up a guided biking tour. Where can I go biking? One of the most popular mountain bike rides in Sedona with scenic red rock views. Trailhead: Take Hwy 179 south to Morgan St. Broken Arrow Trailhead is at the end of the paved road. This fun and challenging ride takes you on fast twists and turns as you climb and descend through the forest at the base of Cathedral Rock. Trailhead: Access via Bell Rock Pathway. Park at the middle viewing point on Hwy 179 between Village of Oak Creek and Sedona. Take Bell Rock Pathway .7 miles under Hwy 179 to connect to Templeton Trail. Surrounded by breathtaking scenic views, this quick singletrack trail takes you through the forest and over many slickrock areas. Trailhead: Park at the middle viewing point on Hwy 179 between Village of Oak Creek and Sedona. Take Bell Rock Pathway north for .4 miles until you come to a sign for Courthouse Butte with a hand written “Llama” underneath. Take this trail a short distance to the actual sign for Llama Trailhead. Fast downhill sections with a number of drops. Trailhead: Access via Bell Rock Trail off Hwy 179 across the street from Bike N Bean bike shop in Village of Oak Creek. This trail is a part of a network of scenic trails located in Sedona’s western canyon area. 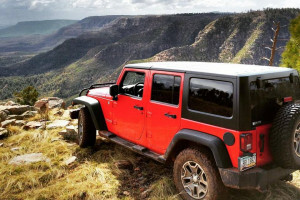 The above are just a few examples of the types of trails you will find in Sedona. Pick up a biking trail map at one of the local Sedona bike shops to discover even more exciting trails. Visit one of the bike shops in Sedona to find helpful guides that will provide you with gear, trail maps, and biking tips. 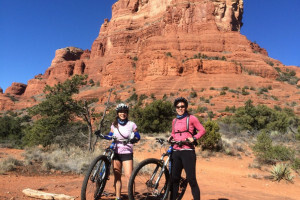 Many of the shops also organize guided mountain biking tours if you are looking for an experienced and knowledgeable biker to lead you through Sedona’s rugged landscape.